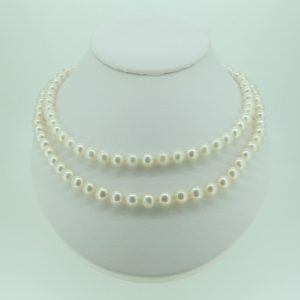 The two strands of cultured freshwater 6-6.5 mm pearls give a very rich look to this classic necklace. The length as shown is 17-18,5 inches, but if you would like a different length, perhaps to enhance a specific neckline or for that extra special gift, please get in touch for a quotation. 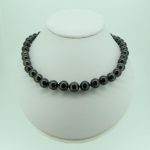 The sterling silver clasp finishes off this very stylish necklace with a strong closure that fits the style very well and lies flat on the neck. 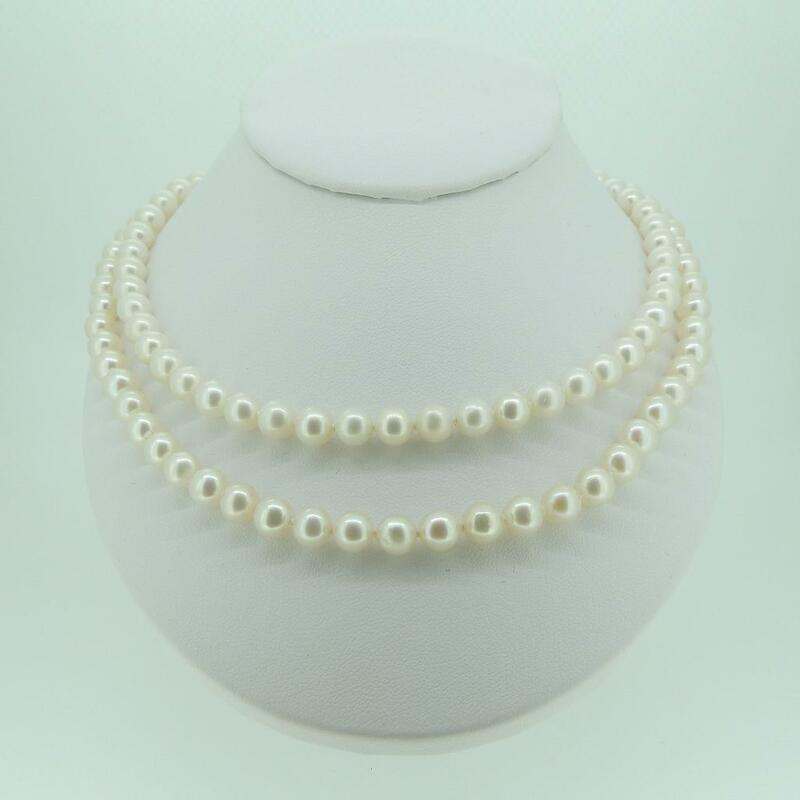 The knots between each pearl mean that this necklace will not bunch or get tangled but will lie smoothly to enhance any neck.